Last year ended with a record 50,000 Guatemalan migrants deported from the United States — many will try the journey again. (Photo Credit: Sandra Sebastián, Plaza Pública). This article first appeared in Plaza Pública, a Guatemalan digital newspaper on 3 February 2014. It has been translated without permission for the Mexican Journalism Translation Project (MxJTP). The tide of Guatemalan deportations from the United States is not dropping. What choices do returnees have? What attention do they receive? Public agencies, businesses and migrant organizations search jointly for alternatives but nothing seems enough to change the situation that made them first risk their lives in search of work. IT is a daily occurrence at the Guatemalan Airforce base (FAG): around a hundred people are packing their belongings into red sacks. Some board a small bus waiting in the courtyard. The luckiest – the smaller number – waits for a relative or friend waiting outside to meet them. Others wait for a city bus that will take them closer to their destination. The group begins to disperse. The crowd forms everyday, every morning, but midday will pass before nobody is left. Inside the hall the travellers had occupied minutes before, workers from the General Migration Directorate (DGM), the Social Welfare Ministry and the Attorney General’s Office (PGN) pass through collecting paper bags. They organize the seats, clean the floor, and play the marimba, all the while waiting for the next plane. The wait wasn’t too long. In less than half an hour, another white plane from World Atlantic Airlines, filled with Guatemalans deported from the United States, lands on the runway. After a few minutes, the plane’s involuntary passengers start to walk in a file towards the FAG offices. Now, they walk as if they are free. Before leaving the plane, officials had removed the plastic handcuffs required for travel. Every day, these planes arrive with greater frequency. Before 2009 they used to arrive once a week. Now they land about two or three times a day, three or five days a week. The hardening of migration policy and the heightened controls on the U.S.-Mexico border — coupled to the constant flow of undocumented migrants — has meant that in less than a decade the number of Guatemalans deported by air has risen from 4,483 in 2005 to 46,898 last year. Among them is this group, the latest to touch down on Guatemalan soil. The first instructions the migrants hear on entering the FAG building have to do with calling the meeting to order, taking a seat, and paying attention. When the festive notes of the marimba die down, the migrants are given a paper bag with a sandwich, a cookie, and a boxed juice. As much as possible they must pay attention to the welcome party of officials. If they can’t, they at least have to be silent for the immigration authorities’ ten-minute presentation informing them of the necessary paperwork before their departure. The group is only made up of men. Some of them have the features of children, but others are more than 50 years old. 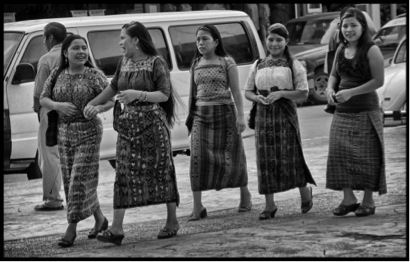 Accents from the east of the country, speaking in Maya, these are two signs that give away their origins. “Welcome.” That’s the official message authorities try to convey with posters in Maya and with a talk that, even more than the formal instructions, carries motivational tones. But even that is not enough to change the despondency and evident frustration on some of their faces. One of them is Silvino Chávez Esteban. He spent two months in prison in the United States after he was caught in Texas after having crossed the border. In addition to the regret he felt at not having been able to even secure work, Chávez felt uncertain about his mother, Mercedes Esteban. The 60-year old left Guatemala six weeks ago with her two youngest grandchildren, taking the same route as her son in order to reunite them with their mother, Chávez´s sister. Mercedes Esteban crossed the Río Bravo, and then was captured. The U.S. authorities removed her grandchildren, sending her, like her son, to a prison to await deportation. A fifteen-day stay meant her prison time was briefer than that of her son. Mother and son eventually succeeded in reuniting, only not in the United States. Instead, they met up by coincidence in the FAG’s offices after being deported: Mercedes had arrived on the earlier flight. Although Chávez accepts he’s going through a rough patch, he also mentions he feels less worried now he knows his mother is safe. Mercedes also found reasons for calm. Not only did she meet up with her son, but she also has news that U.S. authorities found the grandchildren’s mother. Although they are in custody, U.S. immigration authorities won’t deport them, and won’t separate them. The migrants’ reception complements the “Welcome Home” program, which begins to function the moment the deportees leave the hall. The program focuses principally on supporting each of them, trying to change the economic situation of the returnees with aid, training, and work contacts. 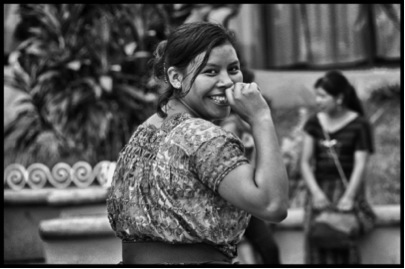 Guatemala’s National Migrant Council (Conamigua) runs the program. It had its start at the end of last November. Earlier it functioned as the Program for Repatriated Guatemalans run by the International Organization for Migrations (OIM), financed by United States Agency for International Development (USAID). The original program had four spheres of activity: assistance to returnees, psychosocial assistance, economic reintegration and the prevention of human trafficking. The program ended when it was meant to, in July 2013. USAID financing dried up, something that impeded renewal of a similar project. Deported migrants were left without support until Conamigua picked up the project. 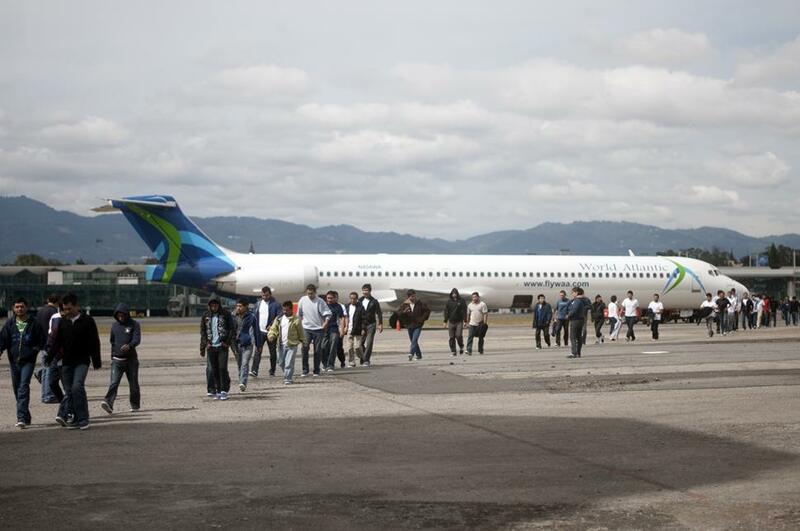 Over the course of the four months without OIM help, Guatemala’s migration agency and other institutions continued receiving returnees. But the deported went straight to the street, with most officials ignoring their plight. The idea of continuing with the lapsed program came from the Association for Migrant Support (AIM), explained one of its members, Jorge Hernández. Former OIM staffers make up AIM, and they coordinate their work with Conamigua. 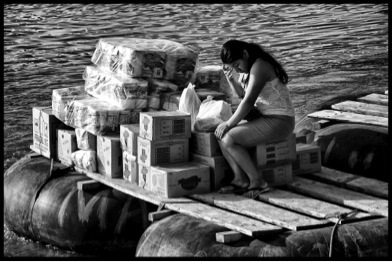 According to a study about Guatemala’s migrant policies, edited by Claudio López for a civil society migration group, between 84 and 92 percent of adults who migrate to the United States do so for work, or to improve their economic situation. As with the OIM program, the Conamigua project has the goal of putting deported people in contact with businesses to help them find work; however, a scant number of deportees can actually obtain a job this way. Hernández explains that for the past three years under OIM, only 85 people managed to find permanent work. “The businesses that hire ask for 80 percent English, and most don’t fulfil that criteria,” he added. The AIM staffer’s explanation makes sense considering the types of undocumented migrant workers on the plane. Most of these deportees were caught just after they had crossed the border. They did not have the chance to learn the language or adapt to different working conditions. The program’s dynamic relies on establishing contacts between deportees and businesses looking for workers. Conamigua and AIM have agreements with worker-hungry businesses: Centrarse, a Guatemalan center for social responsibility with 150 business members, Transactel, an outsourcing call center and Conexión Laboral, specialising in personnel recruitment. Conamigua’s stated results reveal a variety of discrepancies. 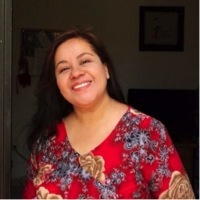 Hernandez’s AIM confirms that, until now, no returnee has found a job through the “Welcome Home” program; but Alejandra Gordillo, its director, argues that about 10 people have found work. Gordillo’s claim has the support of María José Girón, Conexión Laboral’s director. But Hernández counters that the only way Conamigua’s statistics can be correct is if they returnees found work between July and December 2013, when neither OIM nor AIM participated in the process. The Technical Institute for Training and Productivity (Intecap) also has an agreement with the program. The goal is to complement the deportees’ training in an area of their choice. It can be used to improve their level of English, or specialise in the work they learned inside the United States: mechanic, carpenter, construction, or whatever activity facilitates entry into the workforce. There’s little agreement – according to AIM’s data – about the training. Only 125 deportees have chosen a training course through this entity. Gordillo argues that Conamigua has paid for about 500 training courses. Intecap fails to dispel doubt about the discrepancies. According to Martha Pozuelos, head of client services at Intecap, Conamigua is the responsible data collecting institution. For this reason, Pozuelos declined to confirm how many courses Intecap has delivered, the numbers of migrants benefitting from them, and how much Conamigua has paid Intecap. For some returnees training can positively affect their job search. But for others, like Silvino, a farmer from San Marcos who did not learn English because he failed to find a job in the US before he was deported, the trainings offer little benefit. AIM has to wrestle with the problem that it cannot help the majority of deportees. AIM concentrates on migrants within Guatemala’s metropolitan area, both to create a solidarity network and for the necessary work contacts. But the number of repatriated city dwellers is low when compared to the remaining deportees: 35 to 50 per week, whereas more than 1,000 come from the rest of the predominantly rural country. However, Hernández says that the overall objective, as possibilities arise, is to extend the solidarity network and the work contacts into the country. Differences between deportees aren’t restricted to whether they come from inside the capital or from the countryside, whether they have been trained for employment, or not. The authorities are aware of a more significant difference: one of their first questions concerns the presence of minors in the group. “There’s nothing to be ashamed about. He’s being honest and he told us he isn’t 18,” explains the supervising migration official as a murmur runs through the group of returnees. The immigration authorities then hand the youth over to officials from the Attorney General’s office. Only one underage boy presents himself even though the faces of some others betray they are the same age or young than the separated youth. The youth who came forward would have benefited more if he had admitted he was a minor in the United States. There he would have been entered the protection of the state. In the future, he would have had the possibility of requesting a U.S. visa. Hernández explains that in most cases minors fail to come forward for lack of knowledge about their rights and peer pressure from the group. When they identify themselves in Guatemala, the advantage is that they are only under the protection of the Attorney General’s office until reuniting with their family. Even so, their return home is complicated – the adult who cares for the minor has to follow up with the Attorney General’s office – sometimes the minors try to re-cross the border. Some stay with their small group of prison or plane companions. The youth are the most animated. Smiles and jokes don’t betray the fact that a few weeks ago they were on the point of dying in the desert, spent a few days in a U.S. prison and have now been returned to the same situation that had made them leave Guatemala in the first place. Most now have more debts than when they left. Juan Mateo from Acatán, San Marcos, is one of those who would have preferred the Attorney General’s office remain unaware of his age. Why didn’t you identify yourself when they asked minors to step forward? Because I didn’t want to (he responds with a shy smile). Are you thinking about going back? Yes. I just need to find a coyote (a guide across the border). He refers to coyotes because their initial high price comes with the offer to cross two or three more times if the migrant is detained and returned to Guatemala. 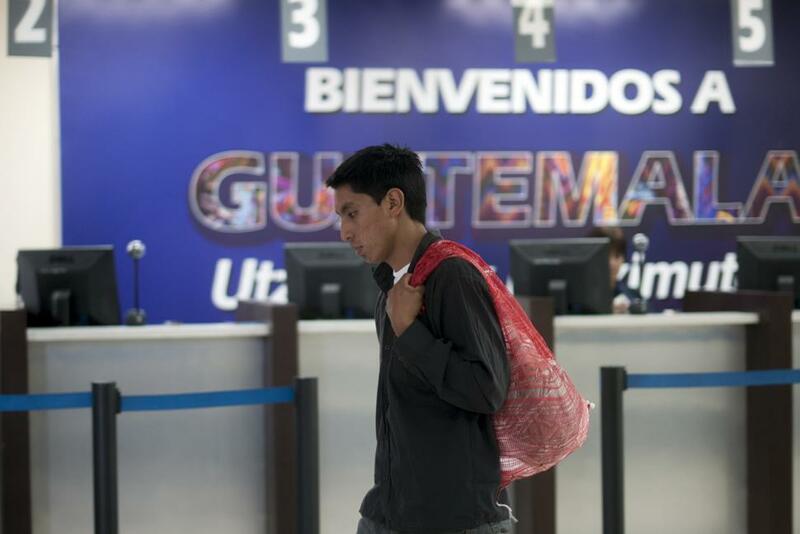 According to Conamigua’s data, the number of deported Guatemalan minors during 2013 decreased from 586 to 313 when compared to the previous year. That’s a 49 percent drop. However, Juan Mateo’s denial of his age when asked to come forward by the authorities shows that their figures could be incorrect. Some take advantage of the wait by taking up the offer of a phone call. Others visit the office of Banrural – a bank that officially participates in the program to provide microcredits. But the recently arrived use the bank to change their dollars for Guatemala’s quetzals. The AIM director confirms that the bank in the building doesn’t offer microcredits. It is equipped only to change currency. The group forms a line to receive their luggage: the red sacks carried by the same plane. The returnees can then change from their blue uniform Chinese slippers to dress in their own clothes, putting on their shoes – now with shoelaces – and again using belts to hold up their pants. Some are ashamed of the bags. “Leave them there. If you don’t, people will know you got deported,” says one of the returnees before he exits the hall. Outside, on the patio, Conamigua and AIM staffers register each case. Then they take the small bus provided by the Ministry of Foreign Affairs, a service that runs only on one route since it must serve the greatest number of people. Its destination: Huehuetenango. Along the way it drops off deportees from Chimaltenango, Sololá, Quiché, Quetzaltenango, and San Marcos. If a deportee cannot find the means to get back home, thanks to an agreement between Conamigua and the Casa del Migrante they can stay in the capital while search out transportation. Santiago Reina, a 45 year-old deportee doesn’t want to return to these hardships and lack of protection: “It’s fucked up when you travel through Mexico,” he says after he hands over his details. For many in the group, this deportation is only a temporary setback on the way to fulfilling their need to work in the United States. They are stuck in a cycle: between risking their lives attempting to cross borders, or trying to survive in the place the airport bus will soon take them back to. While they wait inside the hall at a loose end, the officials put the marimba music back on. They begin to clean and prepare the building for the passengers on the next flight. 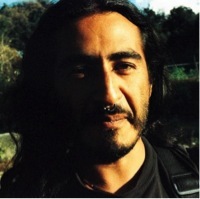 Reporter Alejandro Pérez covers migration and energy issues for Plaza Pública. Follow him on Twitter @bjandrop. This article first appeared under the title, “La agridulce bienvenida: el circulo incesante de las deportaciones,” available at: http://www.plazapublica.com.gt/content/la-agridulce-bienvenida. 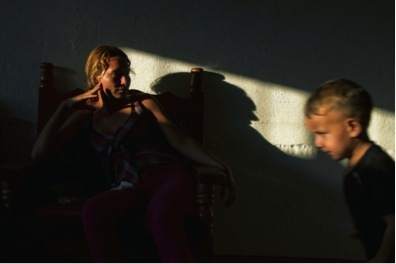 The full article in Spanish comes with a slideshow by Sandra Sebastián of the deportees in the welcome center.